Rockstar Games published new big GTA 5 trailer that tells us the stories about main game's characters - Michael, Trevor and Franklin. These characters have been already introduced to us in previous videos, but this time we will get new exciting details about their life. In new GTA 5 trailer we will see Michael - a former robber that is tired of his quiet life with family. The second character is Trevor - drug addict and old friend of Michael. And the last important person is Franklin - young man, who steals luxury cars. These three men have their own parts in new GTA 5 trailer, and now you can get to know everything about them. We'd like to remind you that GTA 5 release date is scheduled for the 17th of September. 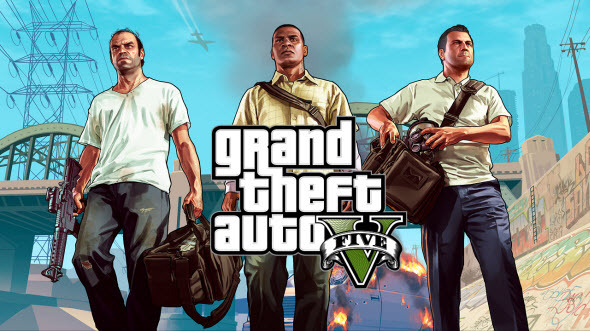 The developers announced GTA 5 for consoles, and we don't know the destiny of GTA 5 for PC still. How do you like new GTA 5 trailer? Write in the comments below!